Extruder Machine - Won Jee Plastic Machinery Co., Ltd.
WON JEE PLASTIC MACHINERY CO., LTD. is a highly-qualified, Taiwan-based supplier and manufacturer of extruder machine. The supplier has been recognized as one of the most professional manufacturers in the industry since 1978. With both experience and innovation, the supplier is confident of providing buyers with quality equipment. Establish in 1978, Won Jee Plastic Machinery is a professional extruder machine manufacturer with years of experience and resounding reputation in providing plastic related equipment products. 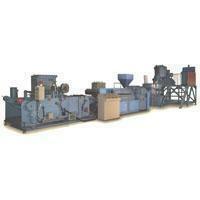 The extruding equipment is widely applied for producing goods in bulk quantity. Its advantage lies in the fact that the ratio can be very large while still producing quality parts. Also, Won Jee has the R&D team to keep improving the extruder machine. 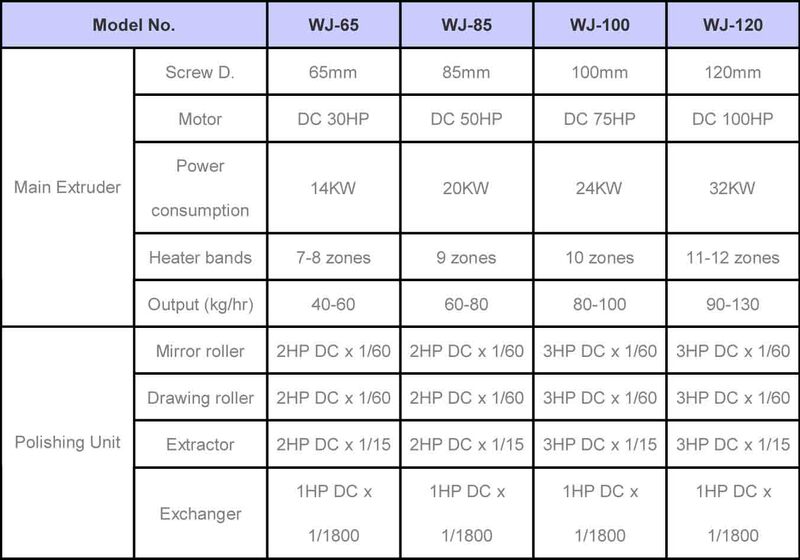 Comparing with others, Won Jee's specific equipment could provide you better efficiency and high quality products. Also, we have best after-sell service. Won Jee owns Professional product line, installation team and experienced technician to solve problems for you. Now try to get an extruding equipment from us, we are sure that you will be satisfied with the performance of our extruder machine. Please do not hesitate and contact us today for more information.